Easter falls on April 16th this year so that means we have extra time for Easter Fun. 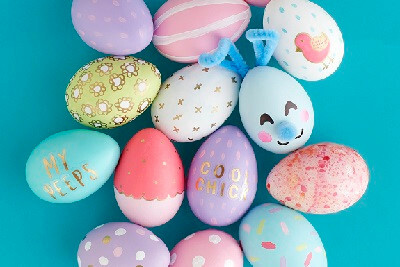 If you are one that likes to plan ahead, we've got your Easter events here. We will be updating this list so check back often. Compiling information is hard work, please link back to this site if using this information on your events calendar. Are we missing something or did we forget an event? Let us know! Easter photos through April 15 during mall hours. Schedule a time online. 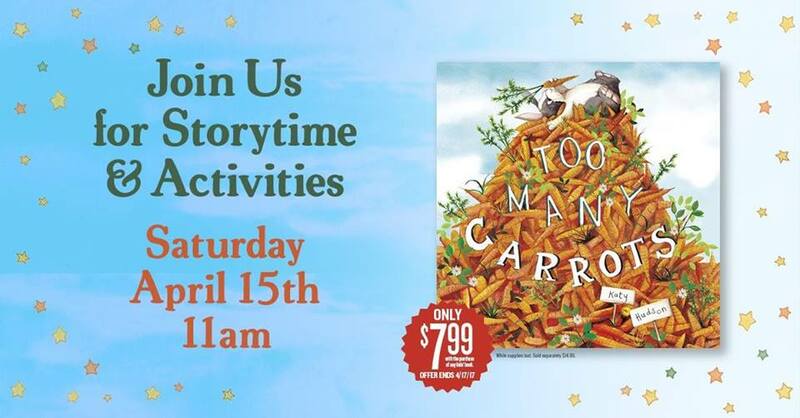 Special Pet nights on April 11th and 12th. Take your basket! Proof of age is required. Food, games, and bounce house. Make sure to bring a basket! 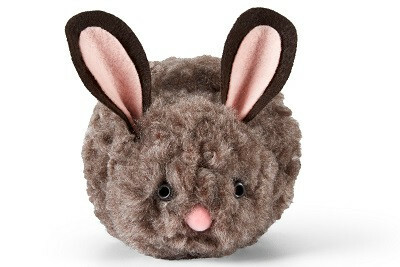 Come in for FREE photos with the Easter Bunny, meet cuddly pets, and go on a CritterTrail Scavenger Hunt. Bring the whole family, pets too! 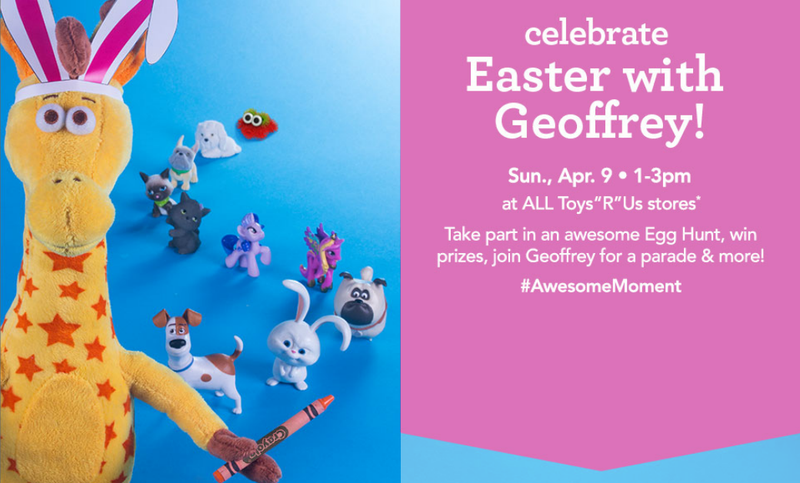 Kids can take part in an awesome Easter egg hunt, win prizes, join Geoffrey in a parade and more! 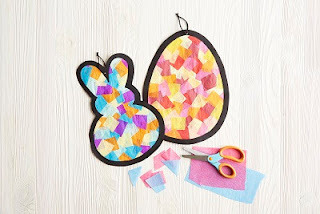 Crafts and Easter Bunny pics. There will be two hunt times: 1-1:50 PM and 2:10-3 PM. The hunt will take place at our dog park and will be sectioned off into two different age groups so that all children have a fair chance! Cost: $3 per child or $5 for two children. 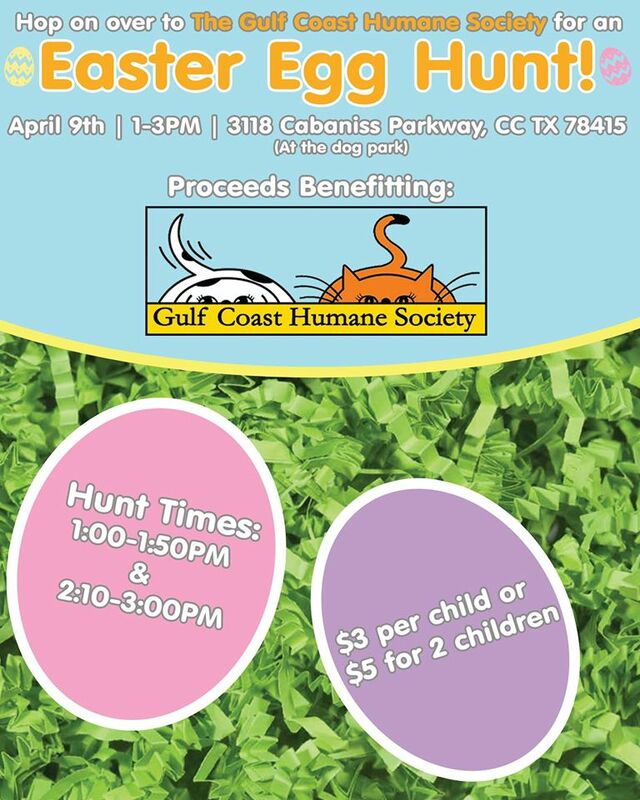 All proceeds benefit the animals of GCHS! Games, food and bunny pics. Features over 20,000 Easter eggs plus 10 golden eggs. 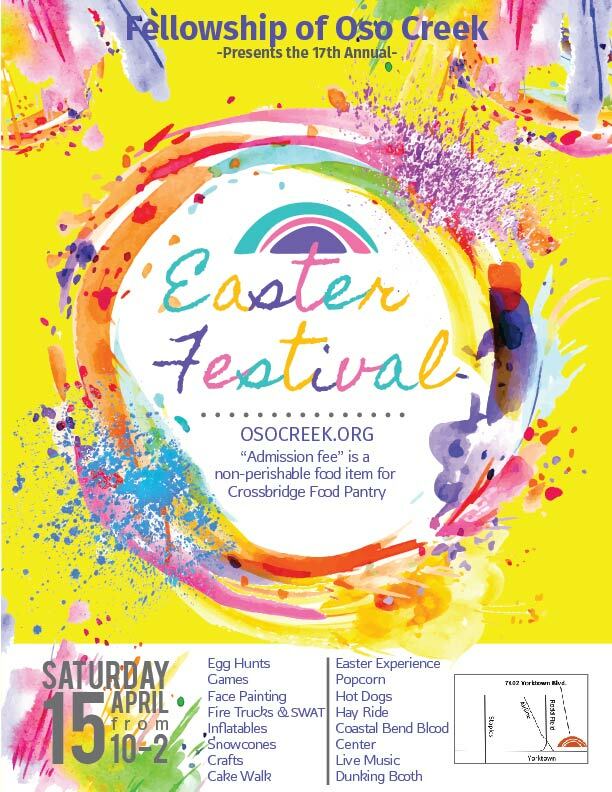 The event takes place the Saturday morning before Easter and is free and open to the public. 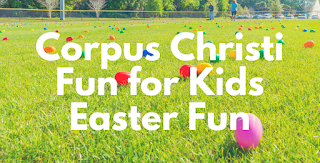 Children up to the age of 10 are allowed to participate in the egg hunt. Open to all with base access! Inflatable, face painting, pony rides and petting zoo. 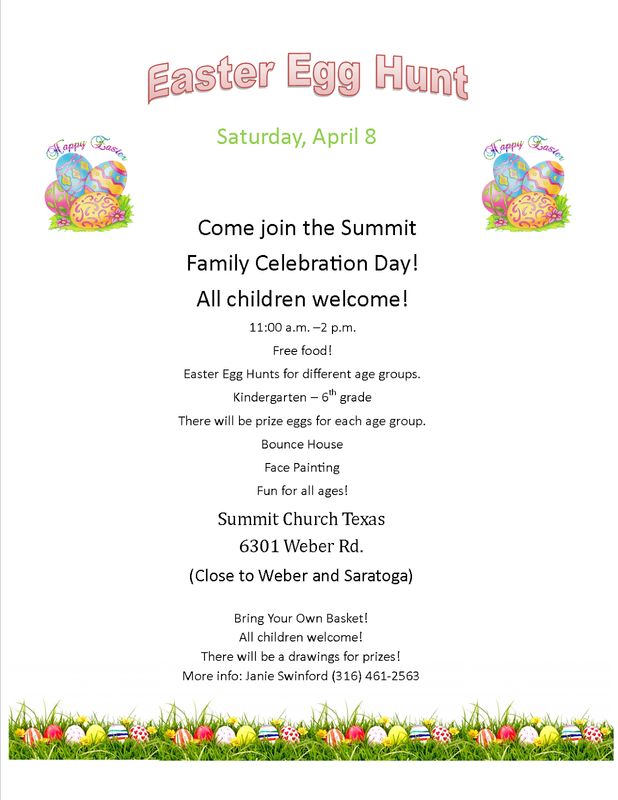 Caricature artist, egg hunt, arts and crafts. Pictures with the Easter Bunny. Free food and drinks. 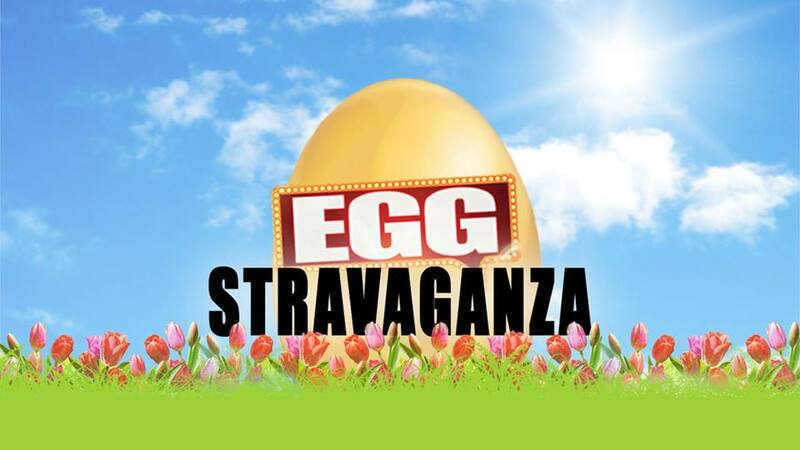 Celebrate Eggstravaganza at the Corpus Christi Museum of Science and History! 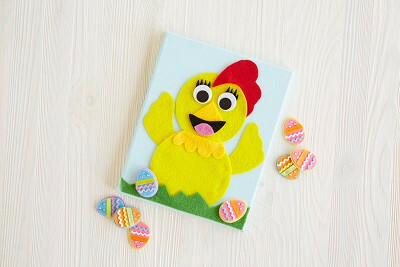 Spring in to science with exciting Eggperiments, cool crafts, and science shows. 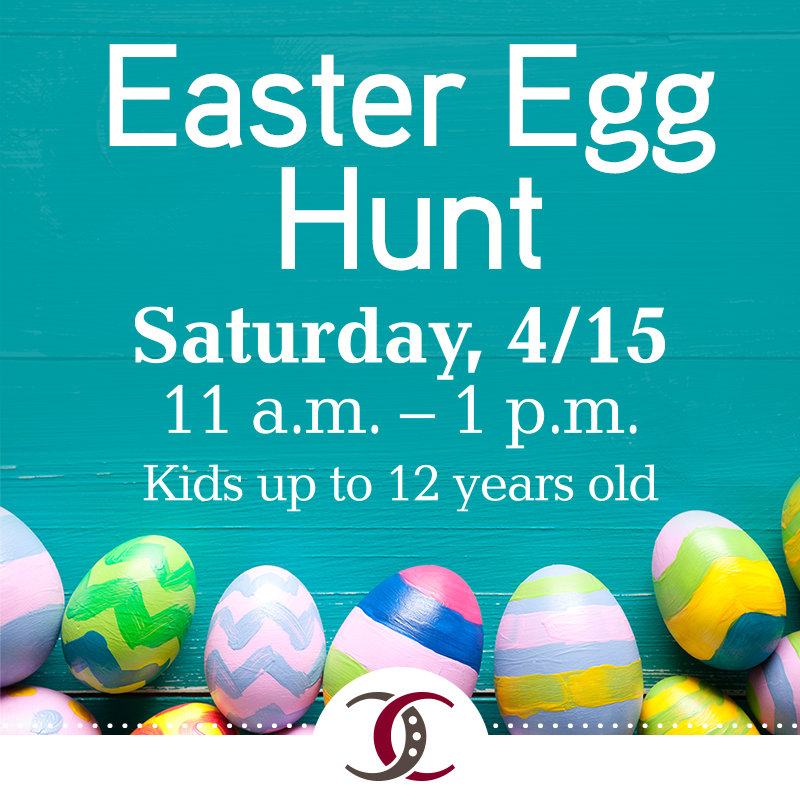 Hop from station to station to collect eggs and prizes. 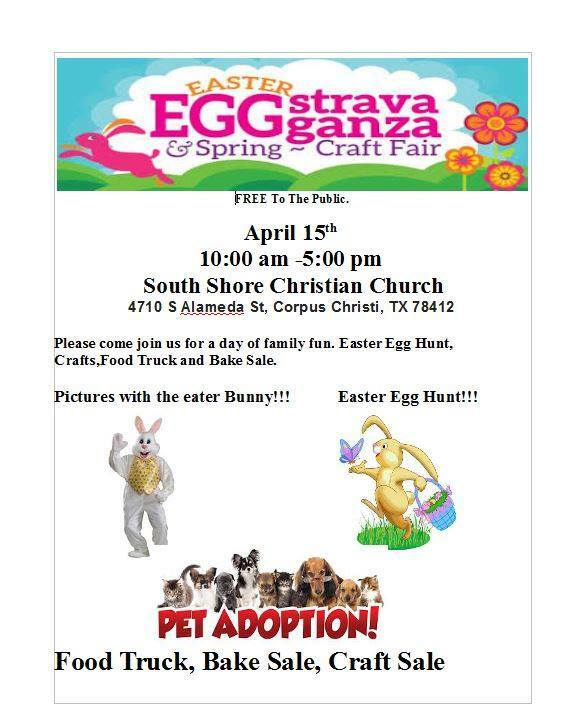 Egg Hunts by Age Group, games, petting zoo, face painting, fire truck, silent auction, inflatables, snow cones, popcorn, hot dogs, SWAT truck, and hay ride. 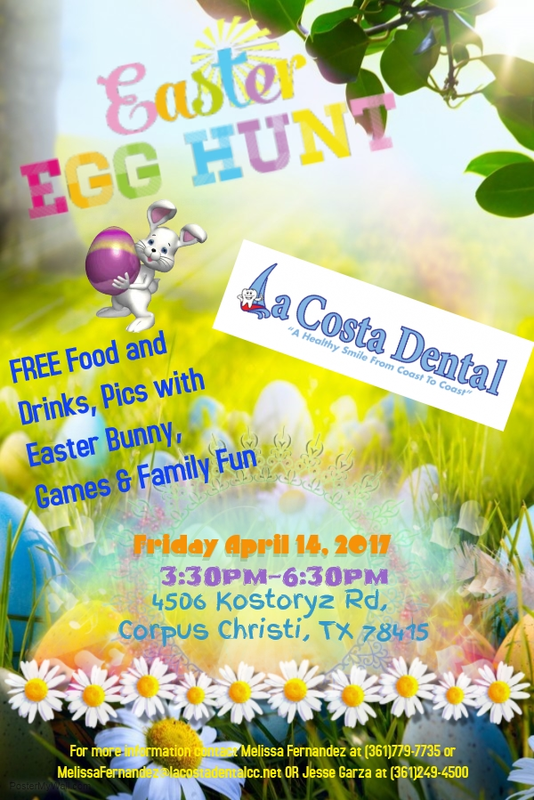 Easter experience, drinks, Coastal Bend Blood Center, swing ride, and more.Everything is free! 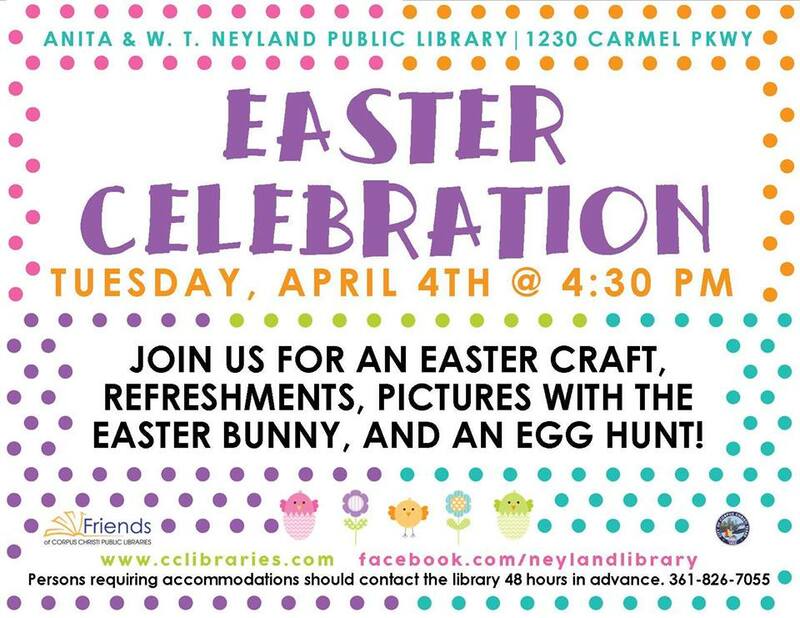 The Easter Bunny will be passing out candy and taking pictures. There will also be a food truck in the parking lot selling food! 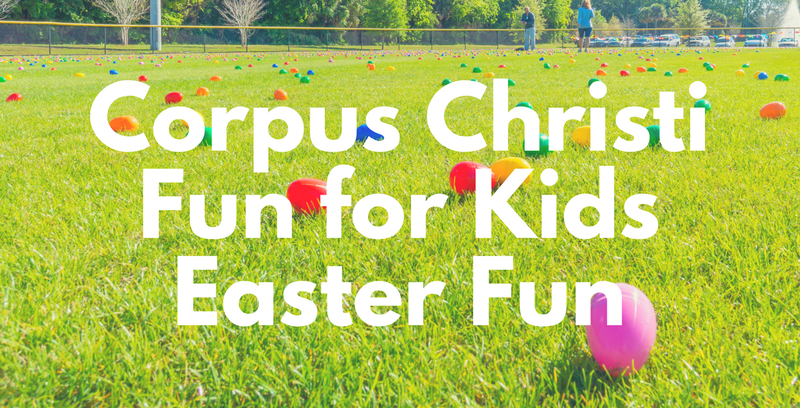 Celebrate the Easter season with us at the Corpus Christi Natatorium. 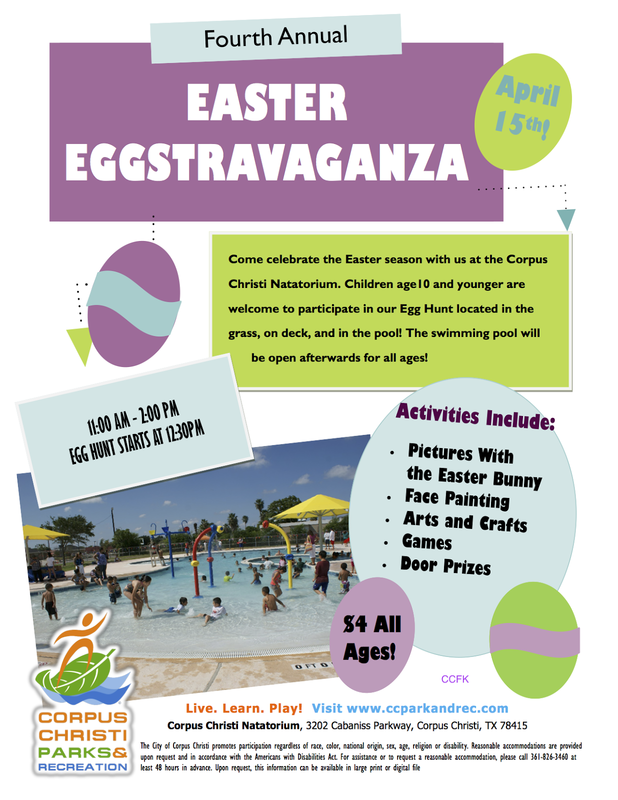 Children age 10 and younger are welcome to participate in our Egg Hunt located in the grass, on deck, and in the pool! The swimming pool will be open afterwards. 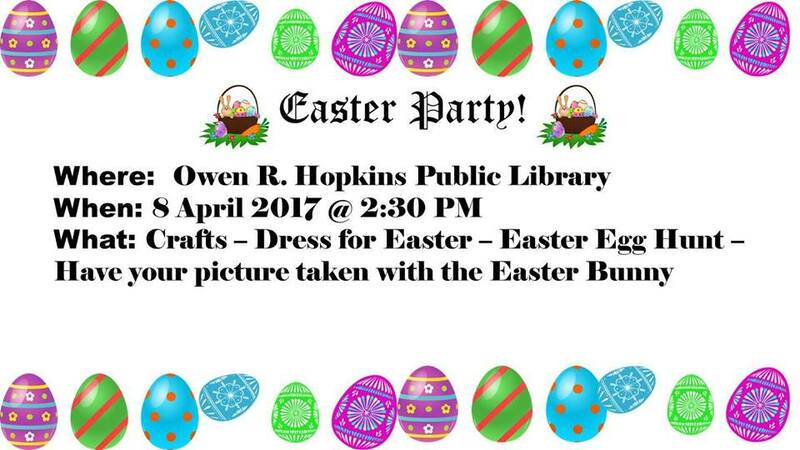 Pictures with the Easter Bunny, face painting and more! 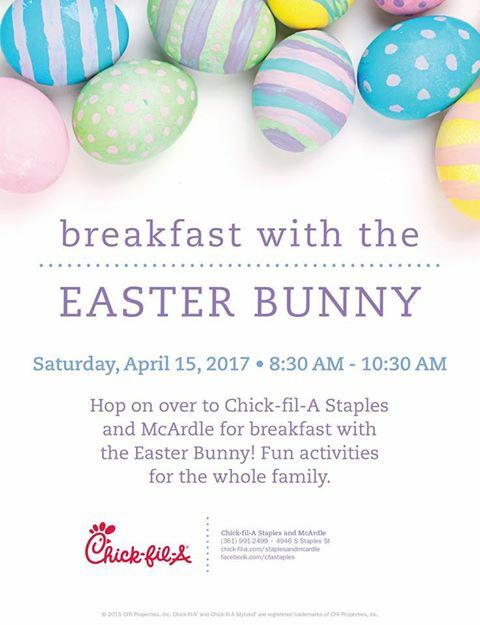 Easter bunny will be onsite for Easter photos as well as Geoffrey from Toys R Us. Kids 12 and under. 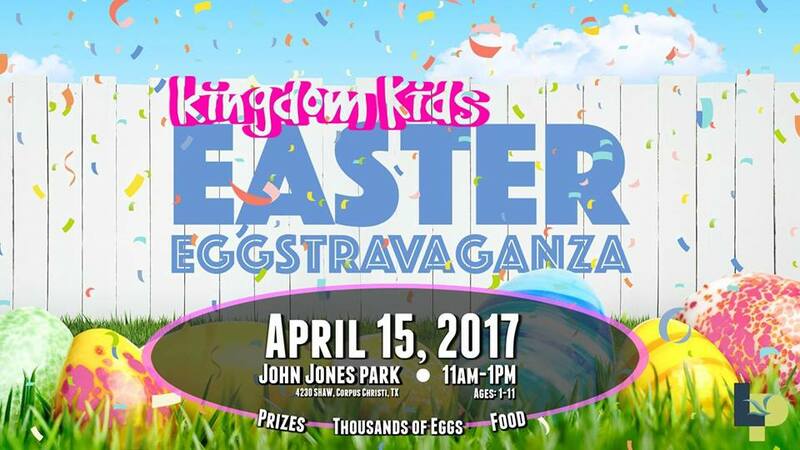 Pastors Arnold & Tommie Zuniga of The Lord Is Peace Church invite you to join us for our Annual Kingdom Kids Easter Eggstravanganza. 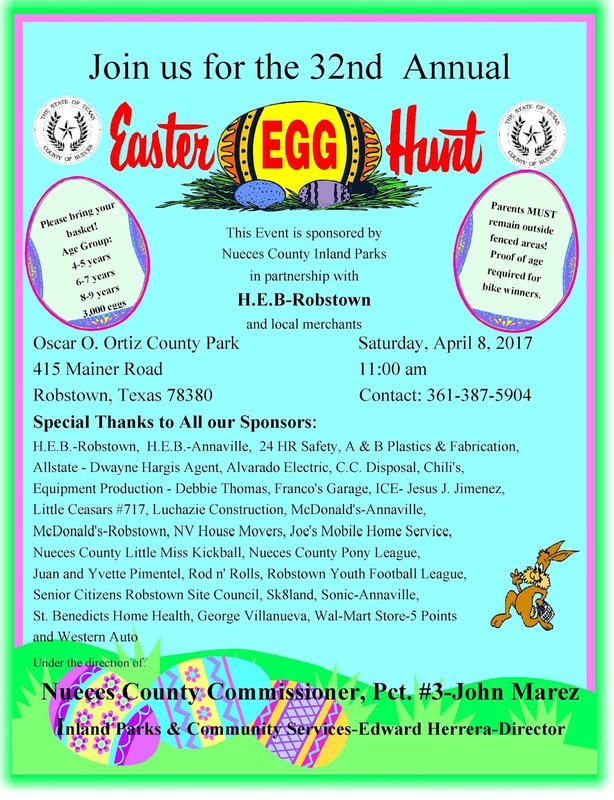 Free Food, Prizes, and Thousands of Eggs to hunt. 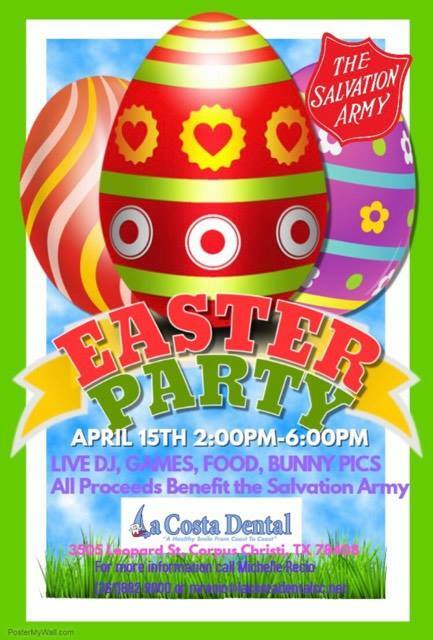 Live DJ, games, food and bunny pics. There will be three hunt zones divided by age: Tots area for ages 3 and under; a second area for ages 4-6; and a third hunt area for ages 7-10. 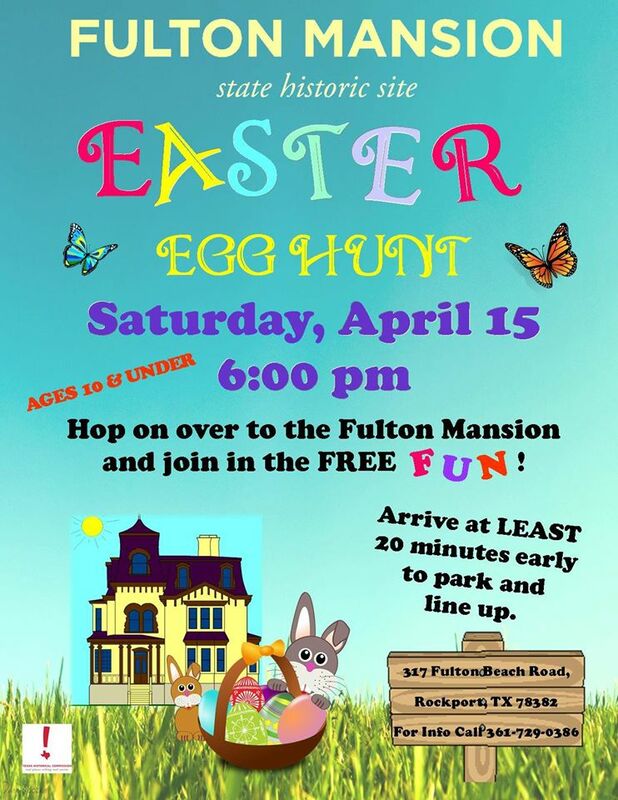 The Easter Egg Hunt is available to visitors free of charge courtesy of the Friends of Fulton Mansion. Please arrive at least 20 minutes early to park and get in place. 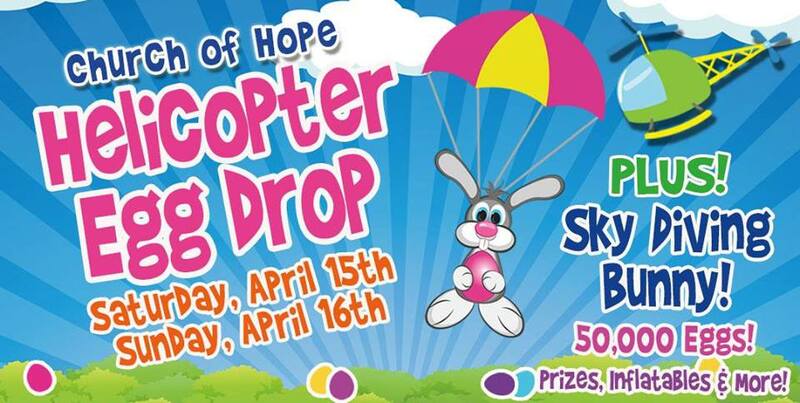 50,000 eggs, sky diving bunny, prizes, inflatables and more! Join us as we celebrate the risen Savior! 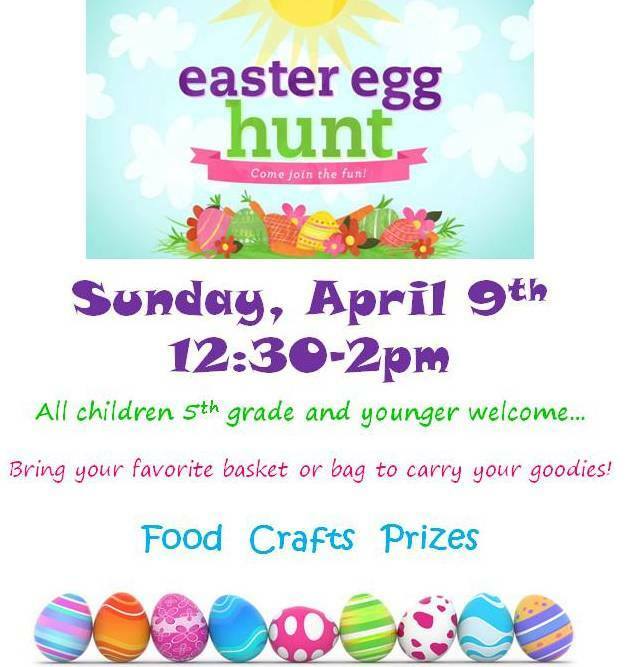 All children are invited for an Easter egg hunt following the 11 am services. Come as you are for a day that reminds us of the hope and new life we have in Jesus! For our kids we’ll have; creative teaching, an obstacle course, awesome food, and more! Brunch and Easter Egg Hunt on the golf course at 12 pm until all eggs are gone! Cost: $24.99 adults, $12.99 (12 & under). Call 361-589-4220 to make reservations. 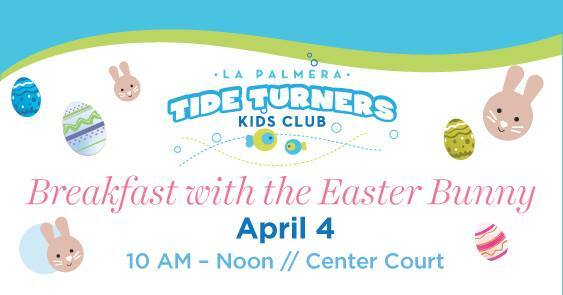 A kids easter event is a free event available for all kids kinder - 5th grade! 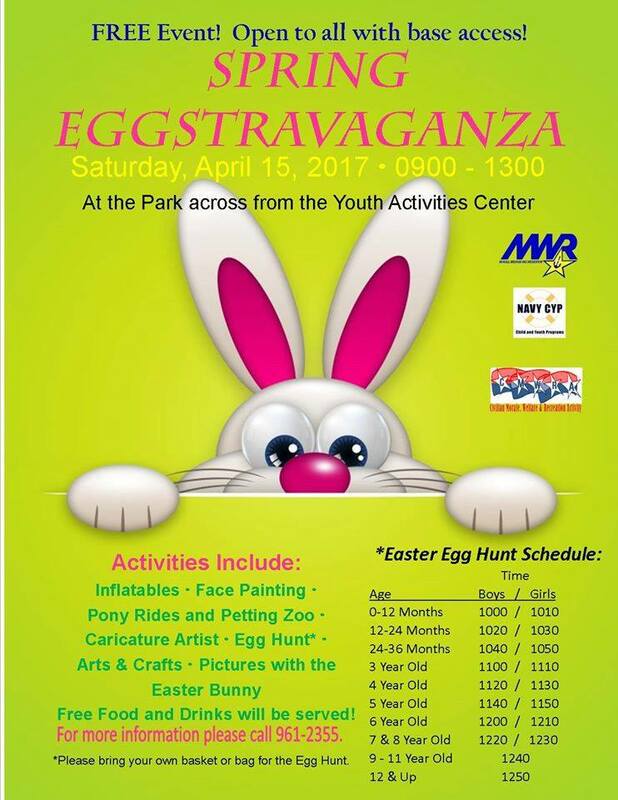 The Scramble is an action packed event filled with an Easter Egg Hunt, Inflatable Games, Candy Bags, giveaways and much more! Join us for Easter morning worship with a special music presentation and message from the Word of God followed by an egg hunt for the kids! 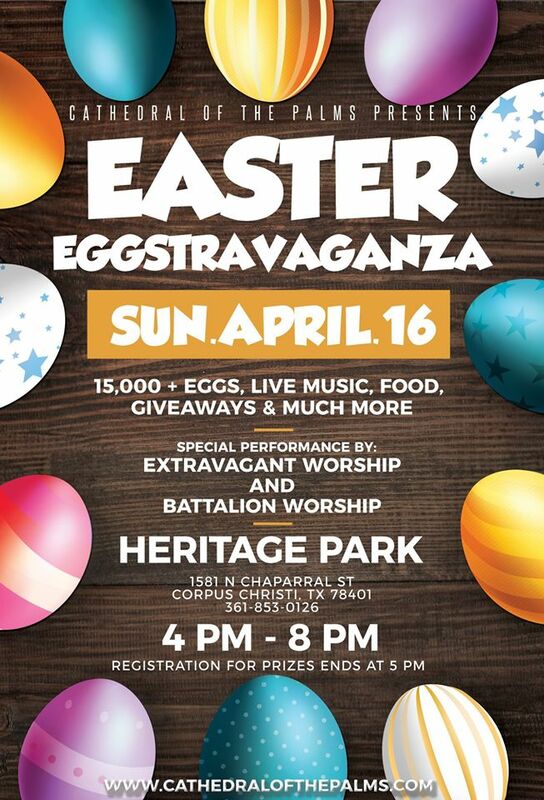 Easter Sunday Service with free community BBQ and family fun to follow. Games, jumphouses and more for the kids! Popular annual egg hunt! Prizes to be raffled away.